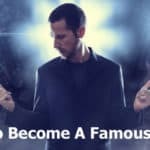 How Do Singers Get Famous Through YouTube? 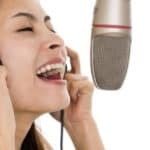 Why You Should Upload Your Singing Videos to YouTube Too? Nowadays, the social media is making wonders in finding the next celebrity who will amaze the world. MySpace used to be the big thing that many people strive to become popular, and followed by shows at the mall. YouTube is now in the limelight as the venue to discover wannabe pop stars. Young ones, pop performers and rising rockers can find their way as stars by posting their performances in YouTube. Your effort might pay off just like what happened to the guys at the video gallery below. They are 10 talented people who uploaded their performances at the video sharing site, and got their fame thereafter. However, this is not a list that shows limited names of those who became popular through YouTube. So, you can share any artists that you want who made their way through YouTube in the comments below. This guy skyrocketed to stardom at an early age. Thanks to YouTube videos that catapulted him from obscurity to superstardom. As a pre-teenager, Justin has been posting a lot of homemade performance videos since he was 12 years old. He reached the limelight after releasing Chris Brown’s “With You” in YouTube using the name Kidruhl. He was discovered by Scooter Braun, a talent manager and Usher, a world-famous singer. After his discovery, his fame rose up and sold out tickets in stadiums worldwide. He grabbed the music industry by storm, and got several awards, including his nomination for Grammys. This young recording artist was discovered by Bieber who helped her rise to fame. Carly Rae Jepsen was already popular in her native Canada after finishing third on “Canadian Idol,” when Bieber tweeted her. ‘Though she didn’t find the road to US stardom, Bieber opened it for her. He tweeted, “Call Me Maybe” is cool and could be the most amazing song I’ve ever heard.” Scooter Braun, Bieber’s manager, immediately viewed Jepsen’s performances in YouTube videos and he was amazed. Then, he instantly offered her a mega-deal contract with Schoolboy Records. This is another remarkable story of a 16-year-old guy who performed “Paparazzi” in a music festival. Greyson Chance hit the limelight by storm as one of the youngest stars in YouTube. The video of this sixth grader caught the attention of Ellen DeGeneres, and found his way on her show. Chance eventually signed a contract for a new record label with her. After releasing his debut album in 2011 entitled “Hold On ‘Til The Night,” he toured the world. The release of his next album Waiting Outside The Lines, brought him fame and it reached its peak at #29 on the album charts in the US. Another album, Truth Be Told, was released in 2012, and added to his collection of top hits. Chance has toured all over the US and brought his singing talent to Asia. In 2010, This Australian-born teen star uploaded his videos of songs by Justin Timberlake and the Jackson 5. He thought he was only good as a bedroom singer until Shawn Campbell, the producer of Jay-Z, discovered him online in 2009. Today, this 16-year-old is one of the most popular pop stars from YouTube, overwhelming the charts. His debut albums include the Paradise which was released in 2012, followed by the Surfers Paradise in 2013. Simpson has been nominated for several awards, and his album reached the Top 10 of the Billboard 200. It’s like a whirlwind success for Dondria when Jermaine Dupri, the founder of So So Def Recordings discovered her on YouTube. Soon, Dupri offered her a record deal, and her debut album entitled Dondria vs Phatfffat became number 14 on the R&B/Hip-Hop Songs Chart in Billboard Hot. Just like Cinderella’s story, Tori Kelly found her way on YouTube. Throughout her tough beginning with Star Search, and Simon Cowell’s rejection of her on American Idol, Kelly’s videos on YouTube has skyrocketed her to fame. Eventually, she won the attention of Justin Bieber’s manager, Scooter Braun. Esmee was discovered by Justin Timberlake, and became the first artist to sign up for his label. Her album Outta Here was released in 2008, and hit the top of the charts in the US, UK, Belgium, and the Netherlands. Since then, she has toured the country, and has collaborated with Justin Timberlake, Ne-Yo and Enrique Iglesias. He is an American-born musician who earned moderate fame on YouTube. However, as of February 25, 2015, he has 1.8 million subscribers. He covers songs of popular artists such as Adele, Bruno Mars, Justin Timberlake, Taylor Swift and Britney Spears. He also sings some original songs, mashups and medleys, along with his collaborations with Kurt Hugo Schneider. This eclectic group consists of Rob Resnick and Cal Shapiro. It’s not a smooth road for these guys to get a contract in the beginning. However, their singles album hit the top of the ITunes charts. Thanks to YouTube for their discovery and gaining popularity across the country. Every Tuesday, they release freestyles and covers of songs at their channel. The hit single entitled I Choose U is frequently played on radio stations in the US. This group has been touring around the country and the UK, with sold-out tickets on their shows. This popular singer was discovered on YouTube, and was offered to sign a contract with Young Money, Cash Money Records. He is very popular in the social media, and has won the VMA for Artist to Watch award recently. Aside from the album that he released in 2013, he has several singles reaching the top of the Billboard Charts as well. Many of the numerous videos uploaded to YouTube get little interest because they are only viewed by the family and friends. So, they don’t get the attention of many people in other places. As a proof, a great number of YouTube videos get a minimal attention of about 100 views in the first month after uploading. Then, only 30 per cent of uploaded videos get the attention of viewers more than 200 times. However, while majority of YouTube videos do not bring fame and fortune for the resource persons, there are exceptions to that case. Today, the stage has become smaller, and the audience has become bigger. There may still be some drunken guys out there watching the videos, but there is always the chance that Ellen DeGeneres or Lady Gaga may be interested to watch a performance on Youtube. Record execs find it easier and more comfortable to gauge the performance of an amateur artist by page views rather than by applause in a crowded venue. 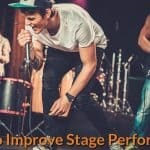 It’s more practical and convenient for popular bands (like Journey) to assess a singer’s performance online than setting up auditions for a few potential singers. 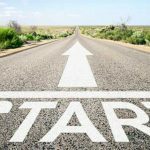 However, YouTube is not the key to your success to stardom; it’s just another instrument to find your luck.